For a genre that’s literally bursting at the seams these days, it’s hard to see how post-rock can really progress and stay fresh. 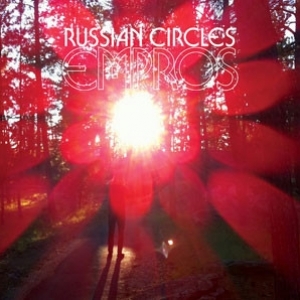 Fortunately, these thoughts don’t seem to bother Russian Circles. The Chicagoans unleash album number four and show no signs of withering just yet. The rousing ‘309’ kicks things off while the glorious ‘Mladek’ sounds like they’ve enlisted The Edge (circa ‘Joshua Tree’) to lend a hand with the distinctive guitar tone. ‘Schipol’ is pure majestic bliss and closer ‘Praise Be Man’ sees bassist Brian Cook on rare vocal duties to create a dreamy Spiritualized moment. Their name might suggest one thing, but this lot are definitely not going around in circles; this is their best record yet.